Elektron has just announced the Analog Heat MKII Analog Sound Processor; featuring new back-lit keys, a crisp OLED screen, and more. 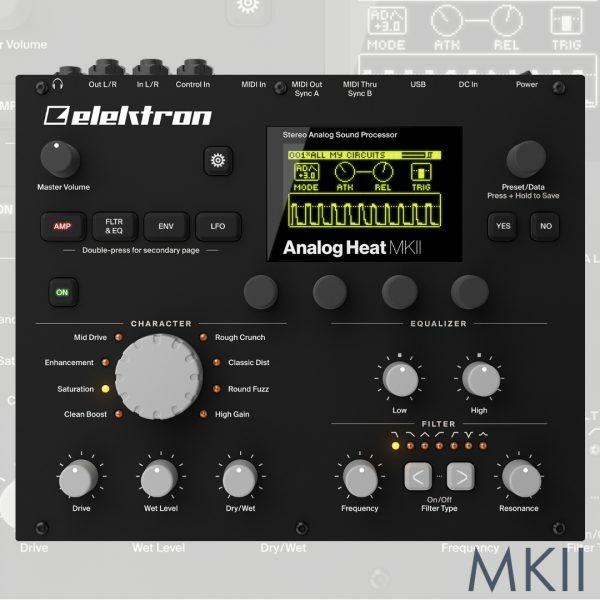 The Analog Heat MKII by Elektron is a programmable, digitally-controlled analogue stereo sound processor: Elekton calls it an "Audio enhancer. Audio destroyer." With its eight stereo analog distortion circuits, analog filters, modulation, and EQ, the Analog Heat can be used as a subtle mastering unit or as a complete audio shaper. USB connectivity expands the unit's capability to act as a complete 2-in/2-out audio interface, which is perfect for musicians on the move, while Overbridge support allows the Analog Heat to be integrated with your DAW as a VST/AU plugin. 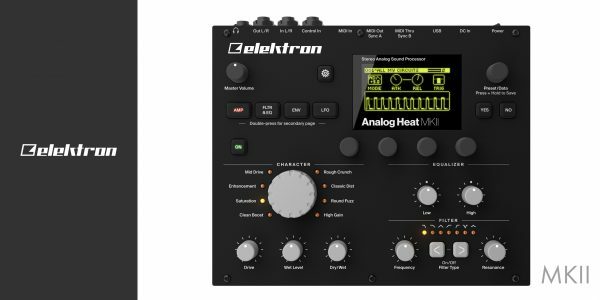 Elektron has just announced its latest update to the Analog Heat with the MkII iteration. This new and improved version features tough, back-lit keys and a crisp OLED screen. These improvements provide greater visual feedback and bring the Analog Heat visually in line with Elektron's more recent products, including the Digitone and the Digitakt. The updated display is now bigger, brighter, and sharper: perfect for performing on dark stages. Greater visual feedback is also provided for the Amp, Filter, Envelope, and LFO pages; meaning users can clearly see the processing that is being applied to their audio. 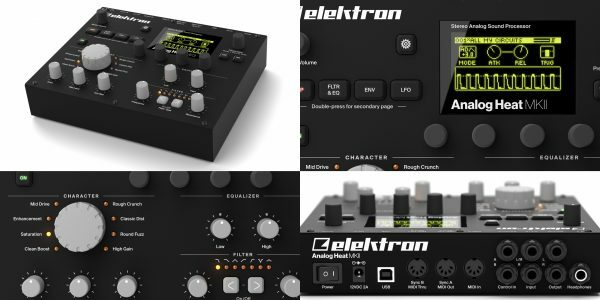 Elektron's recent products have all featured compact and rugged designs with clear interfaces. The Elektron Digitakt Drum Computer and Sampler (released January 20187 and the Elektron Digitone 8-Voice Polyphonic Digital Synthesizer (January 2018) are the prime examples of these compact-yet-powerful devices. The original Analog Heat MKI (released back in 2016 with the Analog Drive) was targeted at studio engineers and live performers; the 2018 MKII Analog Heat joins the family of new Elektron products, featuring Overbridge support and a neat, compact design. Overbridge is a piece of software enabling your DAW of choice to 'see' the Elektron hardware as a software plugin. Connected via USB, Elektron's hardware becomes fully controllable from the computer and is perfect for use in the studio, or with more complex live setups. 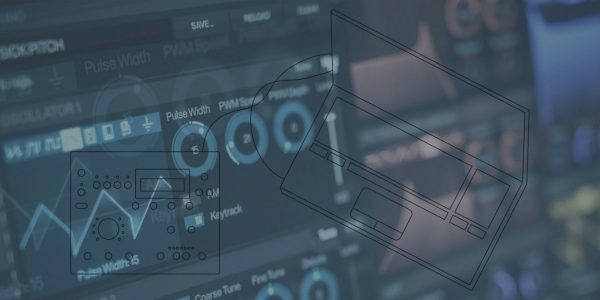 Overbridge allows you to integrate your chosen piece of Elektron hardware in a software environment, meaning complex adjustments and automations can be initiated from directly within your DAW. The Analog Heat also features a stereo analog multimode filter and a 2-band stereo analog EQ. Modulation sources include a custom envelope and an LFO. The original Analog Heat was awarded 4.5 stars out of 5 by Future Music Magazine who called it a "deceptively flexible box of analogue effects that partners perfectly with a modern digital set-up." " It's the Overbridge compatibility that really pushes Heat into the top tier of studio tools though... Elektron's system is very fluid, and the ability to easily process digital sound while modulating and automating Heat from a DAW creates a really winning synergy between the best of the analogue and digital realms. The fact that it can function as an audio interface and still operate in plug-in mode at the same time will likely be a big selling point to a certain ilk of on-the-go producer."